Have you ever wondered what it would be like to play a round of Clue with Bud Abbott, Lou Costello, and possibly a few key members of Monty Python? To quote actor and motivational speaker Shia LaBeouf, "don't let your dreams be dreams." 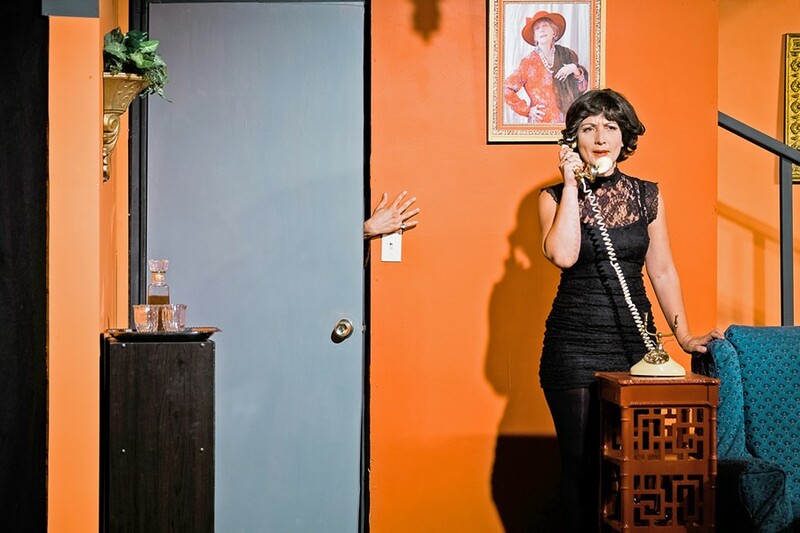 That particular aspiration may never come true, but By the Sea Productions' take of The Murder Room comes pretty close. NOSFERATU? Little does Mavis Templeton Hollister (Deirdre Loy) know, someone is about to switch off the lights. Chrys Barnes directs this rendition of Jack Sharkey's madcap parody of British murder mysteries, which mainly pokes fun at the tropes found in Agatha Christie's detective novels. The setting is Yorkshire, present day, although the absence of cell phones—not to mention the fact that the only phone that does appear has a rotary dial—supports a timeless atmosphere. 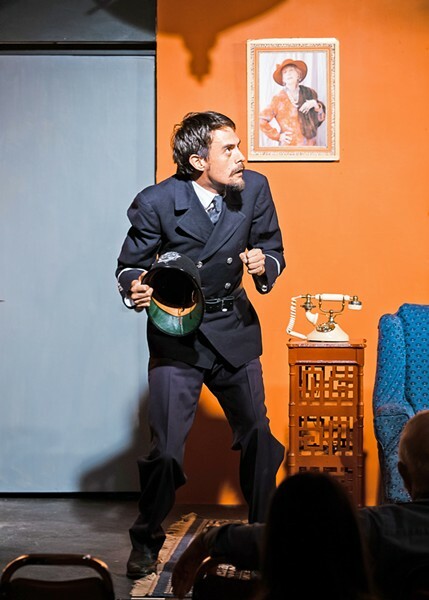 When Inspector James Crandall (Ed Cardoza, whose resume includes SLO Rep's The Drowsy Chaperone and Cambria Center for the Arts' Fuddy Meers) is called upon to investigate the disappearance of the mysterious, recently remarried Edgar Hollister (Greg DeMartini), he quickly suspects foul play. The inspector, with assistance from Constable Abel Howard (also played by DeMartini), calls a few suspects into question. The first of which is the missing person's new bride, Mavis (Deirdre Loy), a young, gold digger type whose marriage to Edgar is less than a week old. Edgar's daughter from his first marriage, Susan (Sarah Smith, who also starred in By the Sea's 2017 production of And Then There Were None), who has a sizable inheritance coming her way, also makes the list. Last, but certainly not least, is Edgar's maid, Lottie (Lisa Pekarek). 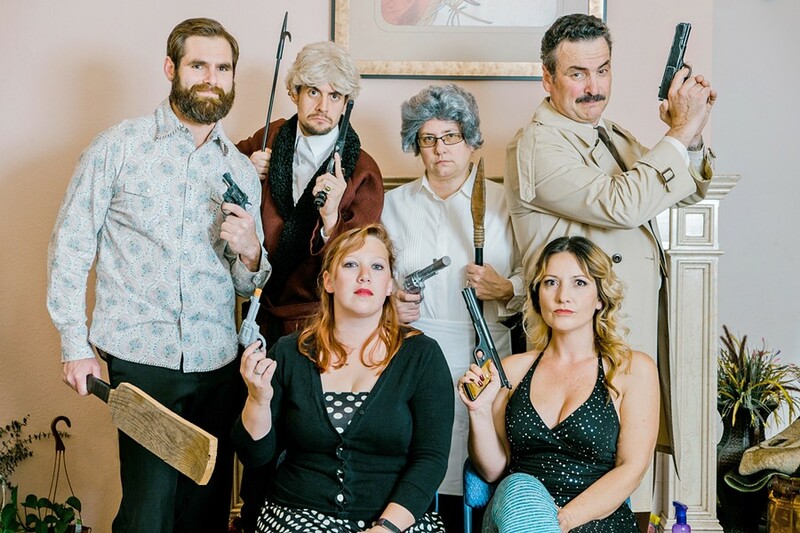 KILLER CAST David Rosenblatt, Greg DeMartini, Lisa Pekarek, Ed Cardoza, Sarah Smith, and Deirdre Loy (left to right, top to bottom) star in By the Sea Productions' The Murder Room. While Crandall and Howard try their darndest to crack the case, we, the audience, know who the killer is from the opening scene. A lot of the play's funniest moments come from watching the murderer nervously squirm under escalating circumstances throughout the investigation. And although Murder Room is clearly a spoof, full of breaking the fourth wall, silly handshakes, and impromptu dance sessions, it actually works as an effective mystery. We know the identity of the culprit from the get-go, but there are enough twists and turns along the way to keep us in the dark about other aspects of the story (I mean, they caught me off guard). One particular character revelation near the end made me audibly gasp before uttering a well-deserved "yasss." DOUBLE TIME Greg DeMartini plays both Edgar Hollister and Constable Abel Howard (pictured). Every member of the cast, which also includes David Rosenblatt as Barry Draper, Susan's unassumingly astute fiancé, is vibrant and perfectly over-the-top in their respective roles. Each actor gets more than a few chances to chew up the scenery, and they all do so with flying colors. Overall, By the Sea's Murder Room proves, as the best examples of community theater often do, that you don't have to act for a living to be good at it. Calendar Editor Caleb Wiseblood did it, with a candlestick, in the dining room. Contact him at cwiseblood@newtimesslo.com.